Let’s start this one off with a “test”. 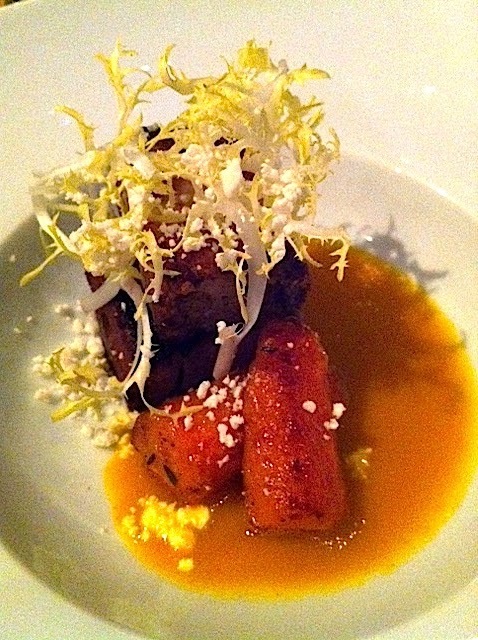 What do Savagnin and Graciano have in common? If you said they are both grapes, then you are on the right track. If you further said they are grown in unique locales, and make interesting wines, then you might consider yourself somewhat of a “wine geek”. When “talking” about wine, most people focus on Cabernet Sauvignon, or Chardonnay, maybe even Pinot Noir or Sauvignon Blanc….but there is so much more out there to try. Many people are now subscribing to the “ABC” philosophy of wine tasting, that is “Anything But Chardonnay (or Cabernet)”. There are over 7,000 different wine grape varieties, and about 24,000 names for these varieties, grown throughout the world. Only about 150 varieties are grown in large enough quantities for the wine to make it into your local wine shop. And, that is what makes finding an unusual variety so much fun. With one sip, you can experience something from another part of the world. So, if you enjoy the hunt, and the adventure of finding these “uncommon” wines, then I have got a challenge for you. 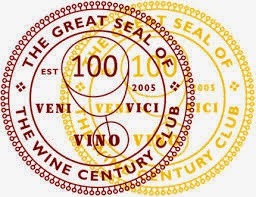 The Wine Century Club was formed by Steve and Deborah DeLong in 2005. The DeLong name might sound familiar to you. If you have been in a wine shop, or a tasting room, and seen a wine grape varietal chart on the wall, you may recognize the name. 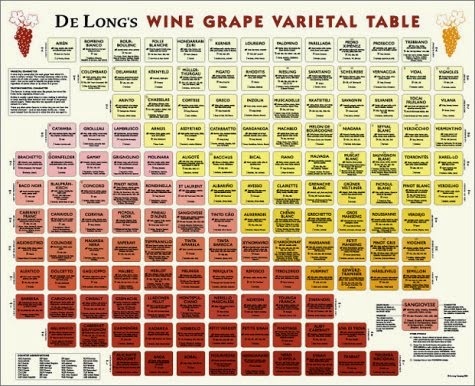 The DeLong Wine Grape Varietal Chart is designed like a periodic table, aligning the grapes by acid and sugar levels. There are 184 grapes on the chart. The Wine Century club grew out of that chart. As people began to taste the wine made from these grapes, a club developed to recognize those that had tried 100 different grapes. Now, in addition to regular membership, they also recognize serious grape nuts who have tried at least 200 (Doppel), 300 (Treble), 400 (Quattro) or 500 (Pentavini) different varieties. Membership is simple. All you need to do is download a checklist of common and uncommon wine varietals, try 100 of them, then mail in your completed list. Once your list has been verified, you receive a free certificate (suitable for framing) designating you as a member of the Wine Century Club. According to their website, they currently have 1,378 members worldwide. The club is not a bunch of wine snobs, and they aren’t “ABC” advocates. 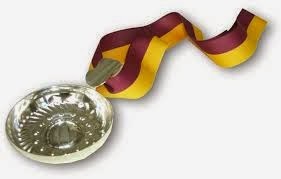 They are open to everyone that is adventurous; including amateur taster to professional Sommelier. I have some friends that are now on a quest to join this growing club. You would think that tasting 100 varietals would be fairly easy, but you would be wrong, and that is part of the fun. The hunt to find new grape varieties will lead you to some great new finds, and some that you’ll probably never try again. Hint: look to Italy and Greece for some rare finds. Even the East Coast of the United States offers some non-vinifera grapes, as well as hybrids, that are uncommon. I joined in 2010. At the time of my membership, I had tasted 127 different grapes. I am still working on getting to 200. 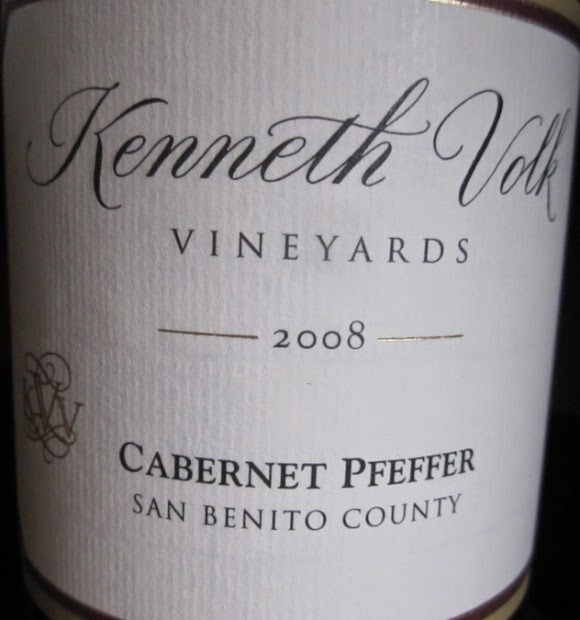 If you have been paying $60 or more for the same California Cabernet Sauvignon over and over, why not spend $25 for an unusual Cabernet Pfeffer or Negrette from Kenneth Volk in California? Is it the unknown that scares you, or excites you? If it excites you, then you need to start tracking your wine tastings, and join the club. When you are in the restaurant, check the wine list for the uncommon grapes. The markup will typically be lower, as most people won’t venture beyond what they are accustom to. I think you’ll also find that most Sommeliers seek the unusual, so talk with the Somm, and ask what they would recommend. Restaurants that are on the “cutting edge” will typically have a Sommelier that is allowed to add some obscure wines, that pair ideally with the chef’s cuisine. Look at Gruner Vetliner... Just a few years ago, no one had heard of this grape, and now it is popping up, not only in wine shops, but in restaurants. The latest addition seems to be Assyrtiko, from Greece. I am seeing more and more on shelves and wine lists. So, if Savagnin, Graciano, Negrette, or Assyrtiko are familiar to you, then you are already on your way to membership. Download an application and join on the Century Wine Club website. The next thing you know, you will be changing the wine store stocks on its’ shelves, and what the restaurant puts on their wine list. You will also be experiencing the local wines that are “normal” or “common” in other parts of the world. Are you getting tired of the same old oil and vinegar for your salad? How about trying something a little different? This week, we take a look at verjus (pronounced vair-ZHOO). 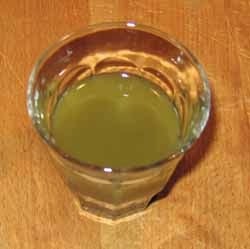 Verjus is also known as “verjuice” in the United States. It is a highly acidic juice made by pressing unripe grapes. Traditionally it is made with the grapes that are thinned from the vineyard crop (known as "green harvest" or "crop thinning"). 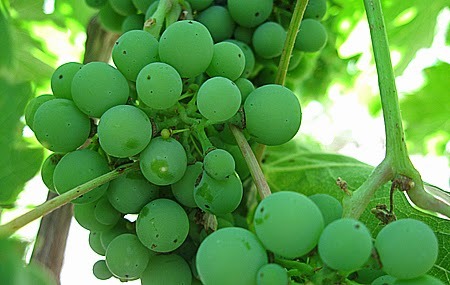 Early in the growing season, most good vineyards will thin the clusters of green, unripe grapes. By doing so, the vines can focus their energy on the remaining clusters, thus producing a better crop, and ultimately a better wine. Verjus is really nothing more than sour, acidic grape juice, made from the high-acid, low-sugar grapes. The word “verjus” derives from the middle French term vertjus, literally “green juice”. 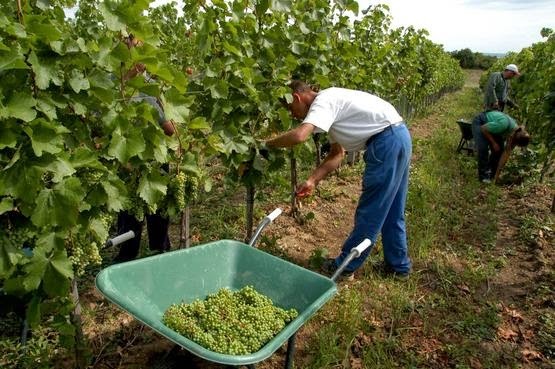 The production of verjus was a natural outgrowth of the wine growing regions of the world. The use of verjus was first documented in early Rome. Verjus has been used since the Middle Ages, and has become more popular in recent years. With the western preference for lemon to acidify foods, it has taken a while for American wineries to catch on, and increase the production and use of verjus. It is still widely imported from France. Middle Eastern countries produce and make verjus too. Verjus is known as “husroum” in Arabic, and is used extensively in Syrian cuisine. In Lebanon it is “hosrum”, and in the Persian regions of Iran and Azerbaijan, verjus is called “ab-ghooreh”. Verjus can be made from red or white grapes. Typically, red verjus has an earthier flavor, and can range from gently floral, to rich and hardy. 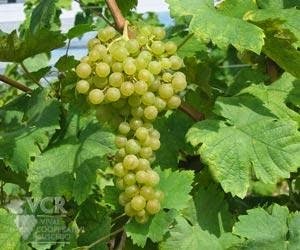 The white verjus is usually lighter, with a crisper taste. Unlike wine, verjus is not fermented, so is non-alcoholic. But, like wine and vinegar, each varietal, and brand, will have a distinct aroma and taste. In the Middle Ages, Verjus was widely used all over Western Europe as an ingredient in sauces, as a condiment, or to deglaze preparations. It has a gentler flavor than vinegar, and is often used to increase the flavor in mustards. Since there is no alcohol in verjus, the flavor will not interfere with wine, thus making it ideal for wine pairing recipes. 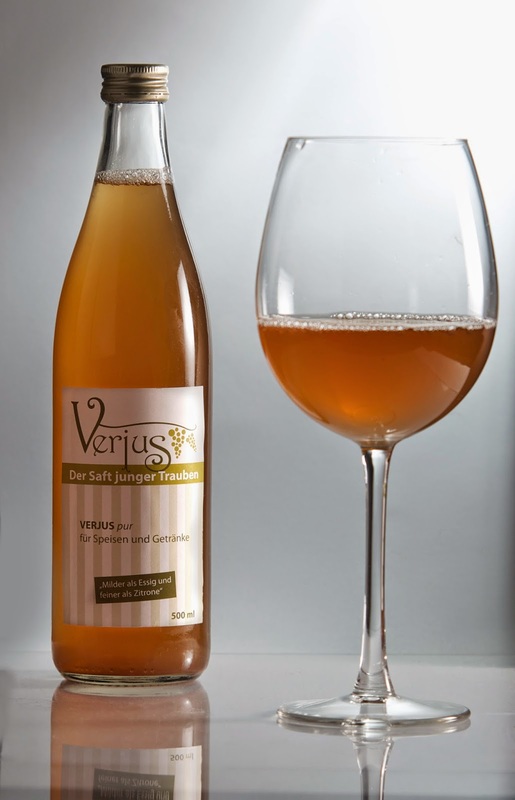 Verjus provides a comparable sour taste component, without "competing” with (or altering the taste of) the wine, the way vinegar or lemon juice do. This is one reason modern cooks are using verjus in salad dressings as the acidic ingredient, particularly when wine is going to be served with the salad. So how can you use verjus? Obviously, salad dressing and condiments are a “no-brainer”, but how about using to de-glaze a pan? Any recipe that calls for red wine vinegar, red verjus can be a good, wine friendly substitute. It is particularly good in sauces for meat, spicy foods, and great for marinades. If a recipe calls for white wine vinegar or lemon juice, then use white verjus. Perfect for chicken and fish dishes, or even in beurre blanc sauce. Once you have opened your verjus, it will keep, re-corked, in the refrigerator for 2 to 3 months. Verjus is readily available at specialty gourmet stores, and even at some winery gift shops. There is a large selection available on Amazon.com, and also some on igourmet.com. Prices range from about $10.00 to $50.00. One of the best known in California is Navarro Vineyards Verjus. Wow, what a busy two weeks. Between my son’s college graduation and my 30th wedding anniversary, I haven’t had time to do much writing. All that celebrating has me a bit behind in my wine writing. Speaking of celebrating, I think most will agree that Champagne is usually on order for big events. But what if you don’t want to spend that kind of money? There is always Cava, or Cremant, but I have found that a good Prosecco seems to make everyone happy. It is reasonably priced, and most are well made, and refreshing. Prosecco is Italy's answer to Champagne. It is made primarily in the district of Valdobbiadene, in the Veneto region. Unlike other wines in Italy, Prosecco is actually the name of the grape that is used to make the sparkling wine (probably because calling it “Valdobbiadene” would be too much of a mouthful). While the grape was originally known as Prosecco, it is now called Glera. The best examples are made from 100% Glera, but other varieties such as Trevigiana, Verdiso, Perera, and Bianchetta are allowed in the blend. Prosecco differs from Champagne in a number of areas. First, it is obviously not made in France, and second, it uses different grapes. But, the biggest difference is in the production method. In a previous blog, I wrote about the Champagne Method. 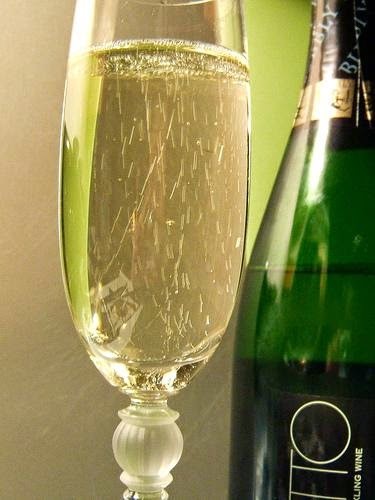 Prosecco is made using the “Charmat” method. Since the grapes used in Prosecco are prized for their delicate flavors and aromas, aging the wine in the Champagne method would ruin the freshness that is so evident in these wines. The Charmat method consists of a secondary fermentation that takes place in stainless steel tanks, rather than in the bottle (as is the case for Champagne). First, a still wine made from the grapes, and then that wine is put into a pressurized steel tank with specific amounts of sugar and yeast. While in the tank, the yeast and sugar react together to make carbon dioxide, which carbonates the wine. This makes the wine less expensive to produce. 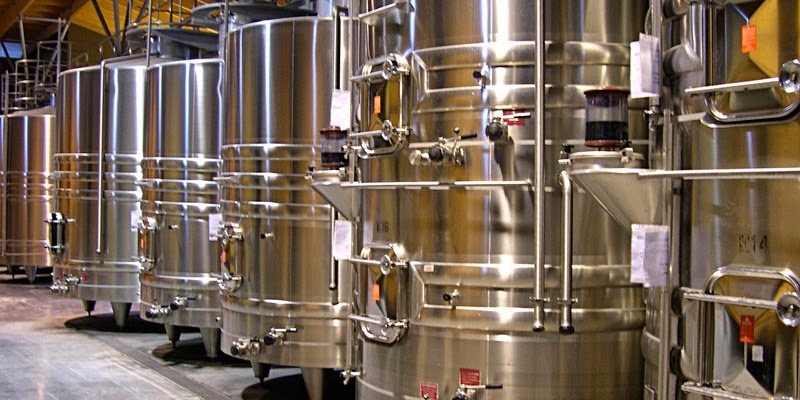 Fermenting the wine in steel tanks instead of in the bottle preserves the taste of the grapes, which gives the wine its fresh, fruity flavor, but also means that can't be aged for very long. The rules for the DOCG Prosecco Valdobbiadene also allow the use of the Classic Method (secondary fermentation in the bottle). Unfortunately, the Charmat method is also used to make some pretty bad sparkling wines, so its reputation has been suspect. On the positive side, Prosecco has really improved its reputation with the method, since it started producing dry or even extra dry wines, rather than the sweet wines that were commonly associated with Asti, which is produced in the Piedmont region. Compared to other sparkling wines, Prosecco is fairly low in alcohol (only around 11 to 12 percent). This lower alcohol makes it perfect for most any occasion. Traditionally, Prosecco was made to cleanse the palate from afternoon espresso, in preparation of dinner. Outside of Italy, it is most often consumed as an aperitif. As with other sparkling wines, Prosecco should be served chilled, at around 50 degrees Fahrenheit. The flavor or Prosecco is typically aromatic and crisp. Most notable is the lemony-citrus aromas, and crisp green apple. Secondary aromas of almonds, pear, peach and apricot are also common. The color is usually light-straw, and the bubbles are small, but not as fine as Champagne. Overall, Prosecco is meant to be a fresh and light sparkling wine that is enjoyed within a year or two of the vintage. However, the best Proseccos can age for several years. For what is considered the “best” Prosecco, look for: Prosecco di Conegliano-Valdobbiadene, Prosecco di Conegliano or Prosecco di Valdobbiadene. Also the sub-denomination Cartizze (indicating they were grown on the slopes around the village of San Pietro di Barbozza). These are known for their drier, more mineral characteristics. If you are looking to pair your Prosecco with food, the crispness of the wine pairs nicely with seafood. The sparkling nature of the wine works as a palate cleanser and is perfect for fried foods, or mouth-coating foods. Think fried calamari, pasta dishes, salads, and again, seafood. 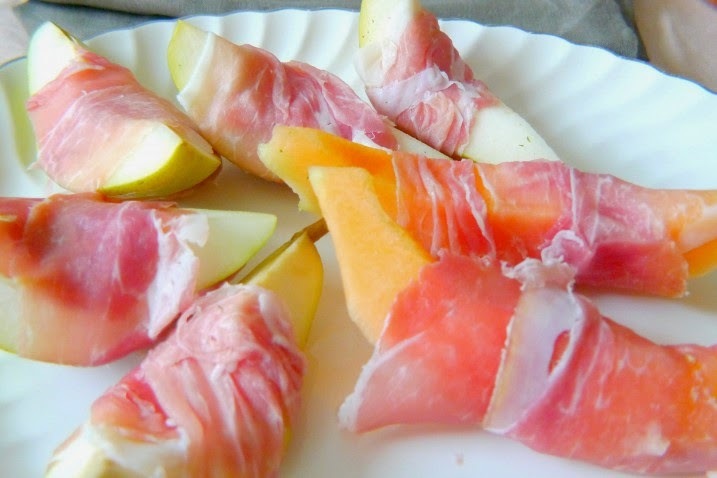 Prosciutto wrapped melon is a classic pairing. The refreshing nature of Prosecco also makes is a great summer wine. Prosecco is also popular as a Mimosa ingredient, and is famous as a component of a Bellini.